Chrysalis Salon hosts a talented team of multifaceted beauty professionals that bring years of education and experience to each appointment and share a like minded goal of putting your happiness above all else. We are known for our collective ability to deliver vibrant colors that bring new life to clients’ hair and custom cuts that are tailor-made just for you. Regardless of your needs, our sought after stylists enjoy working within a variety of arenas. Are you tired of feeling like the best friend, instead of the leading lady in your very own life? Let our team give you the personalized attention you deserve, so that you have the confidence to be your own style icon. Stylists’ not pictured: Jessica, Nancy, Maryann and Jeannine. 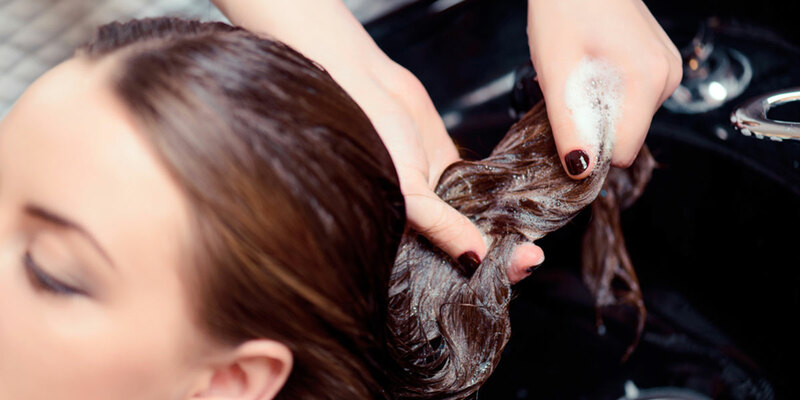 For more than 10 years, Stylist Cristina Falcone has utilized her versatility to ensure that her clients feel and look beautiful. She began her education at the Tricoci University of Beauty Culture, where she received her cosmetology license. From there, Cristina’s passion for crafting gorgeous bridal make-up led her to pursue further education with MAC cosmetics, and she is now a certified Make-up Artist. 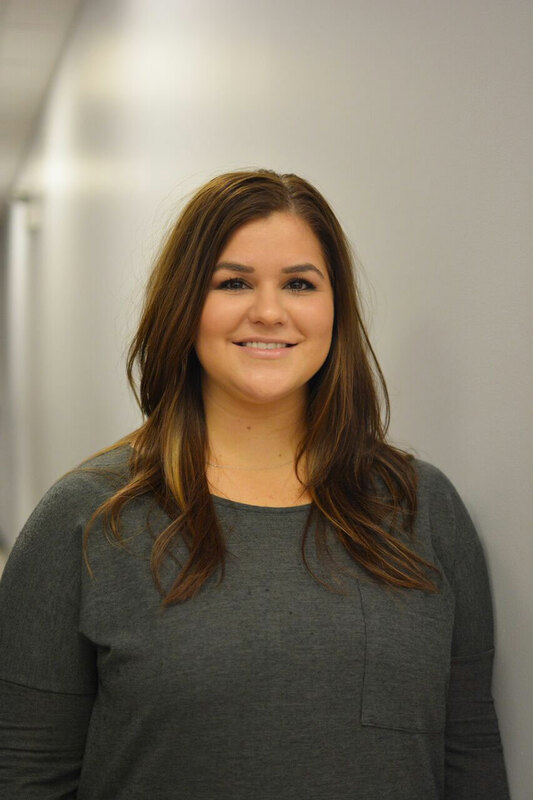 When not bringing bridal visions to life, Cristina loves to design precision haircuts, customize color, and she is also certified in Brazilian Blowouts and Keratin Smoothing treatments. The constant drive to learn new and fun techniques keeps Cristina’s services fresh and modern, which is impressive in an ever-changing and growing industry. 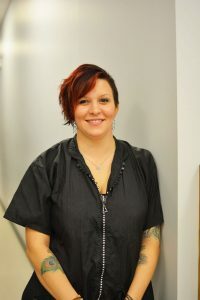 Stylist Amanda Breisch earned her cosmetology license from Tricoci University of Beauty Culture, and for more than 11 years, she has been personalizing salon experiences for each of her clients. A career-long passion for precision color and highlighting has certainly been a catalyst for Amanda’s innovative work. She also enjoys collaborating with the bridal parties that choose Chrysalis as their beauty headquarters for the big day. It is such a pleasure for her to help guests feel newfound confidence, and simply put, Amanda loves what she does. Her love also extends to the amazing team of women she works with, which inspire her to be the best stylist she can be. 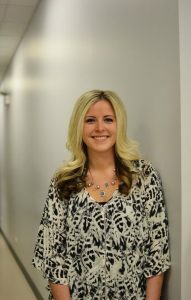 Amanda looks forward to giving you your best hair yet! “I am thrilled that I can constantly change and grow, while doing what I love.” For more than eight years, Stylist Ashley Dempsey has been enjoying the endless opportunities the beauty industry has provided. Ashley excels in collaborating with brides to create flawless and glamorous bridal make-up & up-dos and crafting exciting and daring cut and color transformations. She keeps her skills sharp by mastering new color techniques like a soft balayage or sealing in your color and eliminating frizz with a customized Brazilian Blowout treatment. Working with the Chrysalis team gives Ashley the pleasure of working with and learning from inspirational stylists every day. Ashley is excited to take on the challenges the industry presents and looks forward to helping you perfect your signature style. With more than 18 years working in the beauty industry, Jennifer is a hair stylist that clients know will always craft gorgeous color. She continues to display a passion for creating the perfect red shades for her clients but also loves working within the full spectrum of fantasy colors. 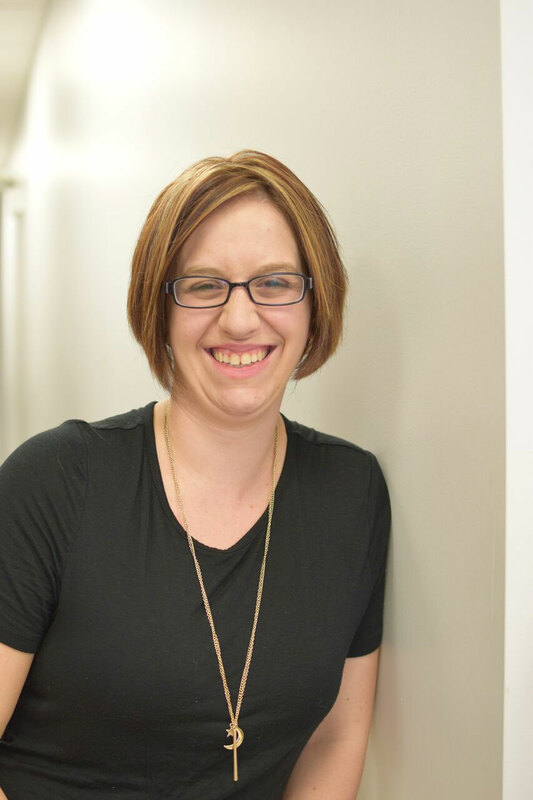 Jennifer enjoys working with the Chrysalis team and happily serves as a guide when her fellow stylists are figuring out a new color formula. She has also proven to be an invaluable resource for brides. Jennifer has collaborated with more than 50 brides to create beautiful wedding day looks and works meticulously to ensure they look and feel fabulous all day long. No matter the bride’s vision, she masters the skills to deliver anything from a classic up-do to gorgeous bohemian waves. Jennifer has even taken her work to competitions, where her innovative bridal styles have garnered accolades and trophies! 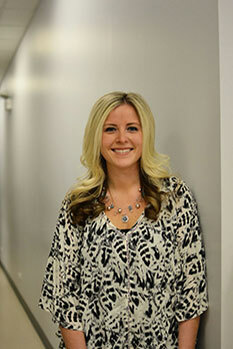 She has also enjoyed working behind the scenes at the Midwest Beauty show. Outside of her commendable work at Chrysalis Salon, Jennifer stays busy spending time with her husband and children and acting as the PTA President where her children attend school. 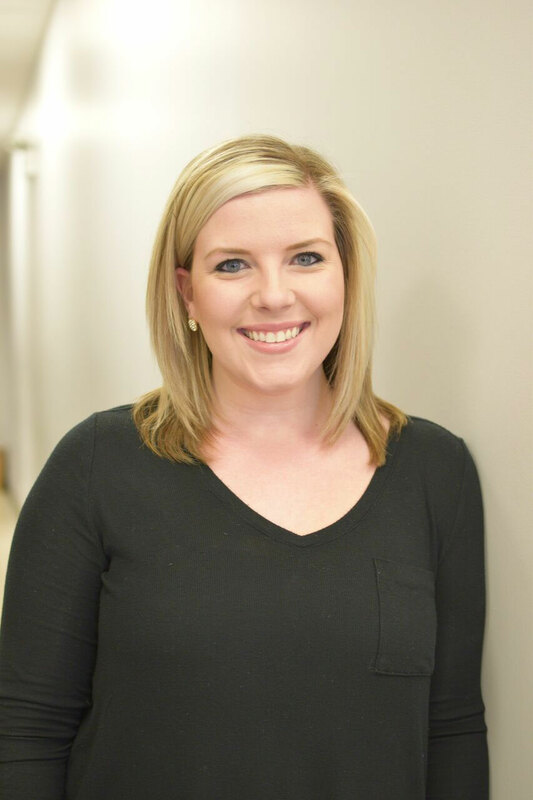 Kara has enjoyed successful career as a hair stylist for more than 10 years, and we believe her infectious passion for color and highlights certainly inspires her fellow stylists. Her clientele ranges from toddlers to mature adults, so it’s imperative that Kara masters a wide range of styling abilities – something she does with ease. Kara is known for her innovative men’s services. From buzz cuts to modern styles, her male client base can look to her for any style they desire. In addition, she has always enjoyed customizing gorgeous formal styles and a variety of bridal styles for her guests. She knows your wedding or special event is something you’ve looked forward to, so she works hard to ensure you look stunning for the entire day. Kara’s clients can look forward to her ability to create varying looks, and her amazing talent to add a braid to any style is certainly noteworthy. 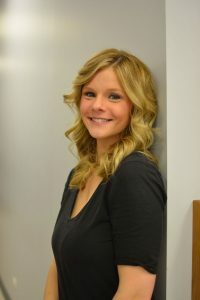 She looks forward to a long career at Chrysalis Salon and working with you to bring out the best in your hair! Nail Technician Kelly has fine-tuned her skills for more than 12 years. Her introduction to the beauty industry was her time spent shampooing hair, which then inspired Kelly to attend nail school. From there, she mastered a variety of techniques and continues to stay educated on the latest nail trends. Kelly enjoys using Creative products during her manicure and pedicure services and loves the durability of Shellac for her personalized gel manicures. If you’re looking for a talented nail technician who will polish your nails to perfection and address your nail care needs, search no further than Kelly. She looks forward to pampering you! Copyright © 2019 Chrysalis Salon. All rights reserved. Salon Web Design by StyleNet.